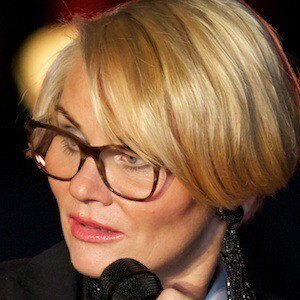 Norwegian singer and actress who participated in the Eurovision Song Content in 1985, 1986 and 1996. She was the lead singer of the band Asphalt, performed in a project called All Of Us and also released a number of albums as a solo artist. She performed on stage at Rogaland children's theater when she was just eight years old. She started to perform in bands when she was fifteen. She has acted on television and on the stage in a number of productions. She published an autobiography called I am Mia. She married photographer Marcel Leliënhof with whom she adopted two sons. Her sister is actress Toni Gundersen. She competed in Eurovision 1996 which was won by Elisabeth Andreassen.